Home Mutual Fund What is Systematic Withdrawal Plan & How does it Work? Systematic Withdrawal Plan or SWP is relatively a new concept in India – here Mutual funds give the choice of regular withdrawal to investors on a monthly or quarterly basis. You can say its just opposite of SIP – in a Systematic Investment Plan where investors can invest a pre-defined amount on a regular basis, in a Systematic Withdrawal Plan (SWP), investors can withdraw pre-defined money from the scheme they have invested in on a regular basis. This is a detailed post & will cover everything that you want to know about SWP – benefits, disadvantages, taxation, annuity vs SWP, Systematic withdrawal Plan example & performance charts. You can also check a Short Video. SWP if used smartly is helpful in different ways. 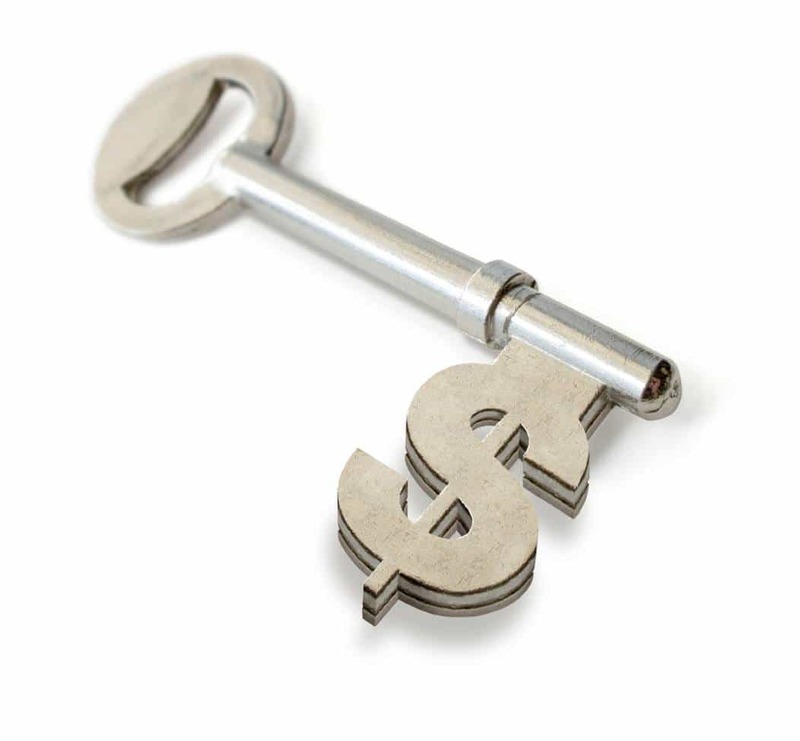 It can be used for creating a regular income flow. It can be used for expenditure items like charity or fees for a specialised course. It can be used during retirement for monthly expenses when a regular flow of income is not there. As very limited investment options are available for the senior citizen – SWP can be a good way to generate regular income. 1. I have invested in MIP schemes of Mutual funds. How are SWPs different from MIPs? 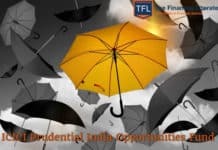 Monthly Income Plan schemes of Mutual funds promise to deliver a monthly income in the form of a dividend for the investor. They are debt funds that are linked to the market (10-25% depending on the fund is invested in equity) so regular returns are not guaranteed. If the fund does not perform well dividend payments are not made. This defies the purpose of MIP, which is to provide income at regular intervals. Moreover, the dividend of debt funds is taxed in the hands of the mutual fund. So the dividend distributed is dividend earned by the scheme less tax which means the investor ultimately get less amount. If you opt for Systematic Withdrawal Plan on the other hand from your investments in Equity and Debt Mutual Funds, you will get a regular source of income as you are withdrawing from your investment. You can decide the amount and the timeframe you want. So your capital will appreciate and your dividends will accumulate depending on market conditions, but your income flow will be regular. 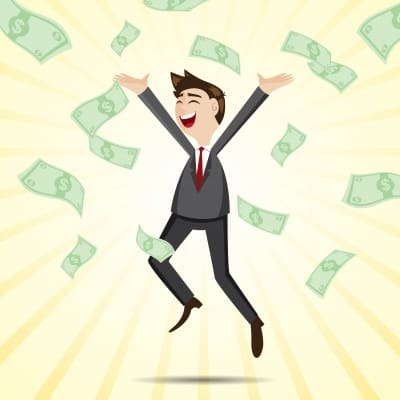 So in an MIP, you can never be sure about the exact amount you will receive but in an SWP, you can decide the amount you want and you will get it provided its there in your investment account. 2. I am a retiree, I have invested in FDs and Post Office Savings Schemes. I get regular income from that. Why should I go for SWPs? Other features Interest is taxable. There is a penalty for premature withdrawal. One has to invest for 5 years. Income from Debt Funds is taxable. There is no penalty for withdrawals except an exit load if more than 10% of the amount is withdrawn within 1st year. The capital returns are taxable. If the SWP starts one year after investment, capital gains tax can be avoided. 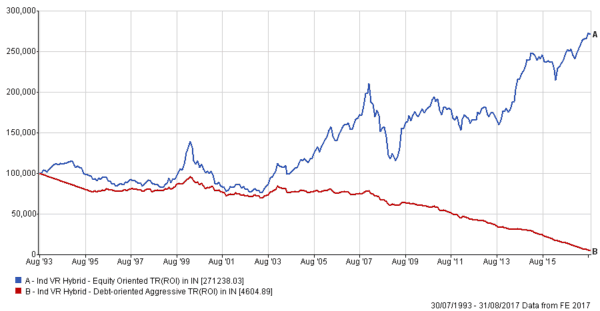 Note – Withdrawal Rate is very tricky concept – check 4 charts at the end of this post. As you can see, the SWP option is best for regular income as well as capital appreciation. It can help beat inflation. It has a higher risk compared to Bank FDs and Post Office Monthly Income Schemes in terms of market volatility. On the other hand, there is not much guarantee of returns from the bank if there are major issues. Moreover, the interest rates on Bank FDs and POMIS have been going downwards. Mutual Fund schemes cannot guarantee returns or capital appreciation but are professionally managed. One should choose stable funds with risk matching one’s capacity and invest in those and have an SWP started. If it is difficult to choose funds, one can approach a professional financial planner. In SWPs, one can select the amount one wishes to withdraw and the time period. SWPs can bring in a discipline in savings. Usually, equity-based funds have the capacity to beat inflation. 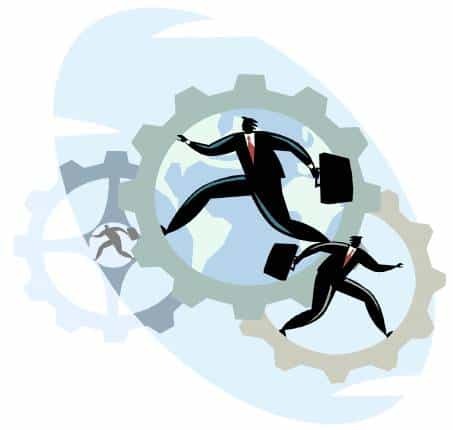 Blue chip funds protect capital as the managers are well versed with the markets. SWPs can be quite tax efficient for investors. If an investor sells units of an equity mutual fund scheme within one year of purchase, he has to pay short-term capital gains tax of 15%. In case of debt funds, short term capital gains will be taxed as per your income-tax slab. Long-term capital gains will be taxed at 20% tax rate with indexation. The withdrawals using SWP will be usually smaller amounts. In the first year of withdrawal, the amount will be from the principal investment amount. So the withdrawal will not be taxable. To make SWP extremely efficient, it is better to start withdrawing one year after the initial investment in case of equity/balanced funds. 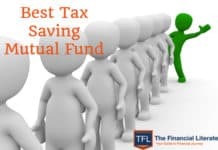 Learn more about mutual fund taxation here. What is the SWP Disadvantage? SWPs can attract exit load if started immediately. It is better to set up the SWP a year after the initial investment is made. Mutual funds can be affected by market volatility. Depending on one’s risk tolerance, one should invest in equity oriented or debt oriented MF schemes. Investors opting for SWP may have to pay tax on short-term capital gains or long-term capital gains depending on the time frame and fund they choose. It is important to ensure that taxes are paid off and also set up the SWP such that the taxes payable are minimum or nil. You will get a fixed stream of money in SWP but if you want inflation adjusted – you have to do it make chages in your plan regularly. Systematic Withdrawal Plan Mutual Fund innovation to compete with annuities. Annuity and SWP are based on the same principle of Fixed withdrawal. An annuity is Guaranteed based on the plan that you have chosen but is taxable. Once you buy an annuity you don’t have any control over that money. In SWP there is no guarantee but you have the option to increase or decrease withdrawal amount. Annuity is not inflation adjusted – with SWP you can build that plan. Annuity is a huge asset management market globally – in India it’s still at a nascent stage. You can read more about annuity in LIC Jeevan Akshay Annuity Plan post. As a concent, SWP may sound simple but it’s not. Problem is how to decide withdrawal rate, how to adjust that for inflation, what should be the asset allocation, what will happen if markets will fall in the initial years. 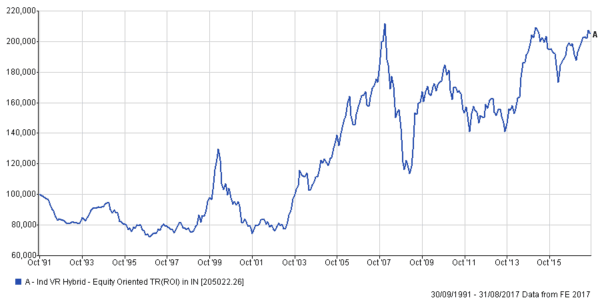 Below graph is bit different – here investor is not withdrawing fixed amount but a fixed return of 8%. So when his corpus was 1 Lakh he got Rs 666 per month but when it went down to Rs 80000 he got Rs 533 per month. When portfolio touched Rs 2 Lakh – he withdrew Rs 1332 per month. Mutual Funds don’t offer such plan but you can create. There’s no Best Systematic Withdrawal Plan – you have to look at your risk profile & identify the scheme based on that. In the USA there’s a thumb rule of 4% safe withdrawal rate (on balanced fund kind of product – 60% equity) which is well researched but in India data is very limited so planners have their own rates. Another issue is for Indians even understanding equity volatility is challenging – they are not ready to digest 60% in young age, will they accept that in retirement. So for them, MIP (25% equity) kind of product can be more suitable with lower withdrawal rate. In below graph, you can see Rs 666 withdrawal (8%) from balanced fund & MIP (Hybrid debt oriented Aggressive). 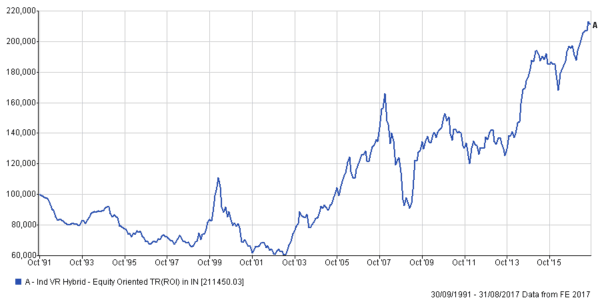 You can notice volatility & amount difference after 25 years. Another thing that you can notice here is I have used this data from August 93 (In first graph it was September 91) – when equity market was at the bottom after Harshad Mehta scam. If you compare the value of balanced fund corpus – it’s 3 times of what if you started in 1991. 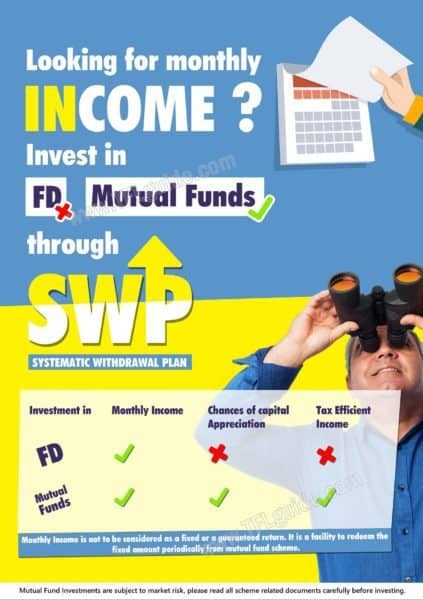 Systematic Withdrawal Plan Risk can be understood by below chart – here I have assumed a fixed withdrawal of 10% (Rs 833 per month) of the initial investment. You can see that corpus in MIP is almost Zero. So if you keep higher withdrawal rate – there’s huge risk that your capital will be wiped out much before your desired tenure. After retirement, one may not have a regular income channel. But expenses will continue to be there. Some expenses might increase and some might decrease. It is important to have an appropriate strategy to get regular income during retirement. It is important to manage money smartly so that one does not have financial woes in the retirement years. 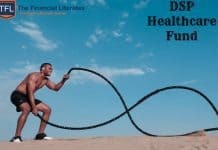 If one invests an appropriate amount as per the financial plan in MFs when he/she has a regular income, SWPs can be set up during the retirement years for regular income. If you have any questions regarding SWP – feel free to ask in the comment section. 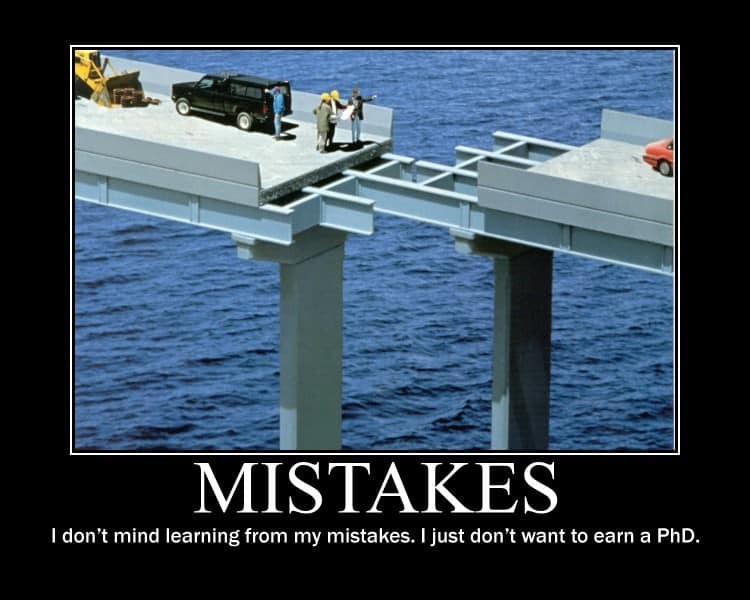 Previous articleWhat is Planning Fallacy and how it affects your finances? As always, you have written an another article on SWP. This is really an excellent guide for those who want to plan their retirement. The way you have illustrated the subject is so detailed and clear. After reading your articles, I don’t think if anyone can still have queries on the subject. The only thing true readers have is appreciation for you. 3-4 days ago, I had received an email from SBI Mutual Fund for SWP. I explored on that but was having a lot of queries. Today I saw an email in my mailbox about this article. I have read it thoroughly and it answers all my queries. Heartiest thanks to you for such a nice article once again. I only knew about a SIP. SWP is totally new to me. Talking about retirement regular income and stuffs recently I have opened APY account which is currently few hundreds,promised returns are in thousands is that possible and what will be inflation adjusted value and the compounding effect of the current monthly payment. Is that plan is good for the ordinary people? Kindly throw some lights regarding that. Atal Pension can be considered but I am not sure about your expectations. Can I Invest my long-term capital gain into this SWF, and get the tax relief i.e. normally to be paid. I was searching for such fund to plan for my retirement benefits. No that won’t be possible.. look for 54ec bonds..
I’m invested in a ULIP which matures in 2022. I had started it in Jan 2012. I was expected to pay premiums for first 5 yrs only which I have already done. In 2022, I’m expected to either take away entire fund value as lump sum or give Standing Instructions to be able to withdraw the fund value in installments over the next 5 yrs. As it stands today, my investment is spread over equity funds (>90%) and debt funds (<10%) that are available as part of the ULIP. I’ve been managing asset allocation on my own so far. I'm 40 yrs old. I cannot change asset allocation once policy matures. 1. Should I withdraw entire fund value or portions of it only? I don’t foresee a need in 2022 to withdraw a lump sum. 2. If in parts, should I withdraw monthly, quarterly, annually etc? 3. 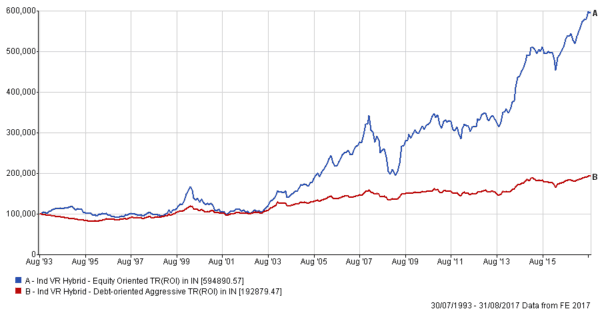 Should I leave asset allocation as is, even at time of maturity so it may have a high chance to earn returns? Hi Hemant, I have one confusion wihth SWP vs Annuity. If I invest in SBI SWP it look quite easy and comfortable. But in Annuity we get our invested money back where as in SWP at end of tenor all fund money will be paid out. Is this correct ? It depends on the amount invested and fund performance in case of SWP. Can we have SWP Calculator? I am going to retire soon and I want to invest my money into MF so guide me which would be better for me to invest in MIP or SWP, as going through your article I pressume that SWP is better option, but will I get enough to meet my expenses as it will grow with inflation and other causes. Yes, SWP is a better option than MIP but still, I think you must consult a financial planner for your retirement planning. I am a retd.person of age 73. I HAVE 10 LAKH IN HDFC PRUDENCE FUND MONTHLY DIVIDEND PAYOUT AND RECEIVING ABOUT RS 8850PER MONTH. PLEASE INFORM ME ABOUT THE TAX IMPLICATION FROM MY SIDE.I REQUEST YOU TO BE KIND ENOUGH IF SOME ALT. WAY OF INVESTMENT WILLBE MORE PROFITABLE AND TAX EFFICIENT ?WITH KIND REGARDS. There is no tax implication on dividend which is received by you because DDT is already paid by AMCs on such dividend. And I must tell you according to your life parameters and risk profile you should not have more than 30% exposure in Equity. I invested 22 lakh in hdfc prudence fund , monthly dividend option regular plan in April 2017. Though I am getting dividend regularly, my invested amount has come down nearly 15 percent. I wanted to shift to mirae asset hybrid fund direct plan and like to start swp after two years. Is it wise to withdraw 15 percent less amount right now and immediately shift to another one. Please help. I don’t know anything about you but based on your message I will suggest you to find a better advisor.